Riding high off a recent shoutout from Lil Yachty on the track “We Outta Here,” where the teenaged rapper says “I’m Loaded like Loso, I’m boomin like Metro,” Slaughter Gang affiliate Loso Loaded is ATL’s next up. 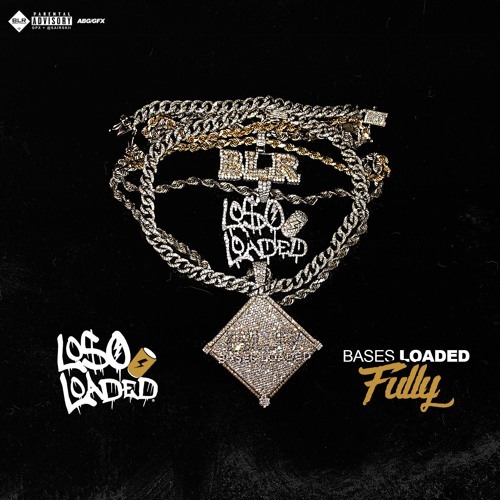 Coming through with his first project since 2017’s Creating Memories, Loso shares Bases Loaded Fully, his latest mixtape. Bursting with immersive, headphone-ready instrumentals from the likes of Dun Deal, Samba Beatz, Mister Neek, and more, every track on Bases Fully Loaded expands the sonic palette of trap music in its own unique way, from the swirling arpeggios of “Dead Wrong,” to the burbling, echoing keyboard droplets of “Chasin,” to the major-key woodwinds and candied synths of “Whatever She Said.” Living up to the challenge posed by the unconventional instrumentals, Loso showcases his versatility and adaptability, veering from clipped cadences and dense rhymes to lilting melodies and energetic ad-libs, often switching his vocal style multiple times in a single song. Featuring appearances from Don Q, Devon Tracy, RoscoP, VVsnce, RealRecognizeRio and more, Bases Loaded Fully arrives via Bases Loaded Records. An affiliate of 21 Savage’s Slaughter Gang, Loso Loaded has shown a chameleonic ability to collaborate with a wide variety of heavy hitters, connecting with Lil Yachty for the lyrical showcase “Loso Boat” (with over 6 million views on YouTube), menacing with 21 on the local hit “Extortion” (1.7 million views), and most notably co-starring with SahBabii on the smash hit “Pull Up Wit Ah Stick” (over 100 million plays on all platforms). Last year, Loso Loaded shared Creating Memories, a versatile EP with appearances from Lil Baby and Zoey Dollaz. Earlier in 2018, Loso shared “Pull Up,” a collaboration with ATL superproducer Metro Boomin, which racked up over 1.7 million streams on SoundCloud alone. Zone 4 Atlanta rapper Loso Loaded has stolen the spotlight recently with his infectious hooks, energetic flow and fun outlook on life. He’s an undeniable standout and not afraid of creating a different image. The Bases Loaded Records signee has already caught major attention with his contributions on the Metro Boomin’ produced tracks “2 Many” and “On Fleek,” both of which gained huge numbers on Worldstar Hip Hop, and made a memorable guest appearance on “Pull Up Wit Ah Stick,” by SahBabii, which earned over 48 million YouTube views. His next project, Fully Loaded, releases on November 14th.